At the 2014 CJFE Gala: A Night to Honour Courageous Reporting, we are honoured to be featuring the powerful images of photographer Anja Niedringhaus. The exhibit will feature many of her iconic images captured in the Middle East between 2002 and 2014. In stark contrast to the photographs of violence and destruction that so often appear from these war-torn areas, the exhibit will feature poetic snapshots of everyday life. Camera in hand, photographer Anja Niedringhaus faced down some of the world's greatest dangers with compassion, talent and courage. Working in Bosnia, Iraq and Afghanistan she showed the world the carnage and damage that war brings to all caught up in it -- especially civilians. She often trained her camera on children caught between the front lines, yet who still found a place to play. She singled out the humanity of individual soldiers amid their armies as they confronted death, injuries and attacks. Shot to death by an Afghan policeman in Afghanistan on April 4, 2014, Niedringhaus leaves behind a body of work that won awards and touches the souls of those who contemplate her images. Niedringhaus joined The Associated Press in 2002, and while based in Geneva worked throughout the Middle East as well as Afghanistan and Pakistan. She was part of the AP team that won the 2005 Pulitzer Prize for Breaking News Photography for their coverage of Iraq. Her many other honors included the Courage in Journalism Award from the International Women's Media Foundation, and a Nieman Fellowship at Harvard University. When not documenting conflict, Niedringhaus excelled at capturing the drama of high-level sports competition, whether at Olympics, World Cups or her beloved Wimbledon. Other assignments included world diplomacy, solar airplanes and even cow-fighting contests. 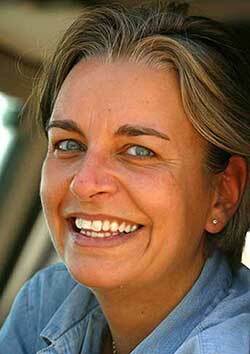 Anja Niedringhaus was one of the bravest, most talented and accomplished photojournalists of her generation. She truly believed in the need to bear witness. Sadly, she lost her life doing it.